A very large majority of electrical faults starts as a ground fault. On a solidly grounded power system, a ground fault has much the same potential energy as a phase-to-phase fault, can conduct thousands of amps, and can rapidly escalate into an extremely dangerous and damaging arc-flash incident. A ground fault must be interrupted immediately. The physical differences between a solidly grounded system and a resistance-grounded system are small. The former has a solid cable or bus connection between system neutral (X0) and earth/ground, while the latter has a current-limiting resistor connected between X0 and earth/ground. 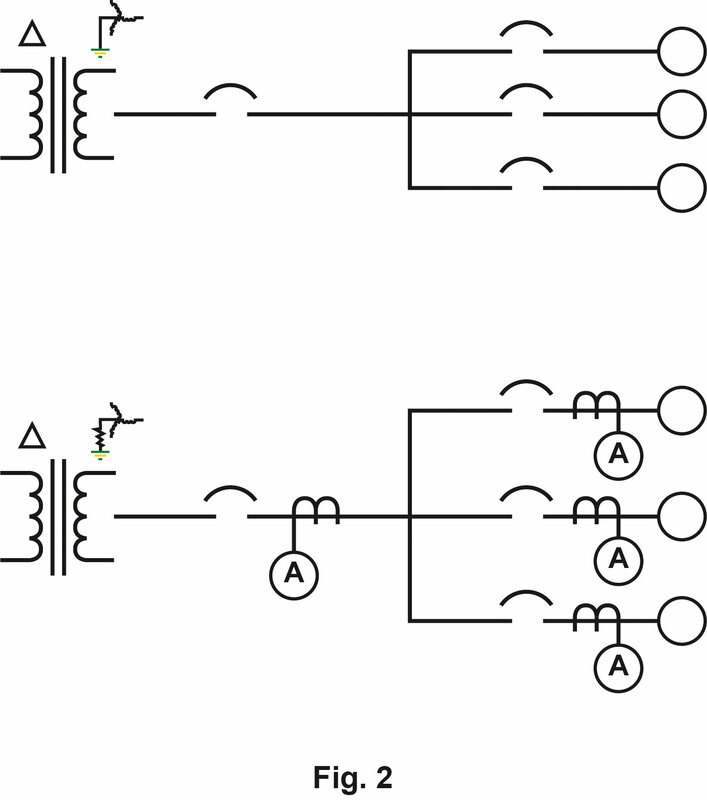 The solidly grounded three-phase generator or transformer-secondary winding is connected in a star or wye arrangement, with the center of the connection designated as the neutral point. To create a resistance-grounded system, install a voltage-rated resistor that conforms to the IEEE Standard 32 (or C 57.32) between the X0 and ground. It is recommended to monitor this neutral-grounding resistor (NGR) for continuity and alarm (or trip) if it fails. The NGR limits ground-fault current to a low value that is incapable of sustaining an arc flash. In many cases, the system can continue to operate with one phase faulted to ground, until an orderly shutdown is initiated. The solidly grounded electrical system relied on overcurrent protective devices to interrupt the large current associated with a ground fault. Coordination of upstream and downstream devices could be difficult. The HRG system can deliver very low ground-fault current—too low to operate a circuit breaker or fuse—supplemental ground-fault protection is required. Use a residual-current-type device (RCM) to detect ground faults using a zero-sequence current transformer. By installing such devices at each feeder, or even each load, fault location is automated, and selective circuit interruption is easily achieved, where necessary. Some circuit elements, such as line-to-ground filter capacitors on the input of variable-speed drives, may be rated at line-to-neutral voltage. These elements should be upgraded to line-to-line voltage ratings to withstand the higher voltage present during a ground fault on an HRG system. The neutral-grounding resistor (NGR) is a critical element of a high-resistance-grounded (HRG) electrical power system. HRG systems always include current-sensing ground-fault detectors (for alarm or tripping) which operate when a ground fault conducts current that passes back to the supply neutral through the NGR. When an NGR fails due to a weld failure, corrosion, thermal stress, or the like, the previously HRG system becomes ungrounded, or floating. When a ground fault occurs on the ungrounded system, no current flows and the installed ground-fault detectors will not function. To avoid the situation in which a ground fault is not detectable, leaving the system in an unsafe condition, continuously monitor the NGR with an appropriate device. The NGR must be monitored for continuity and connection to system neutral. In some circumstances, such as vermin nest building or incorrect system maintenance, an NGR can be shorted. In this case, a ground fault will result in higher-than-expected current, which could have negative consequences like a higher level of equipment damage or an arc flash. 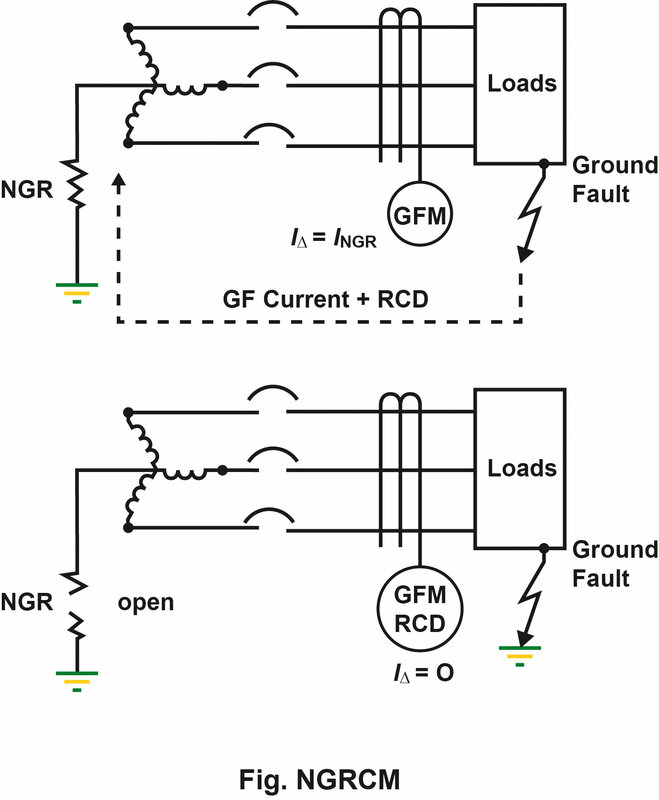 Continuously monitor the NGR for a resistance reduction to alert operators to this condition.